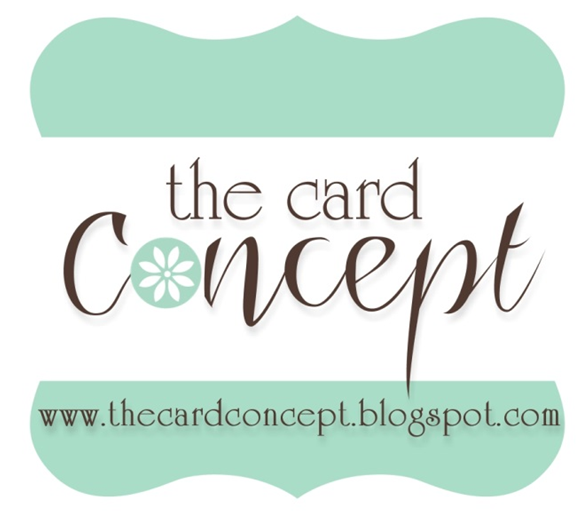 This week at The Card Concept the theme is 'Lime and Aqua'. The photo inspiration has such fresh and gorgeous colours to play with. 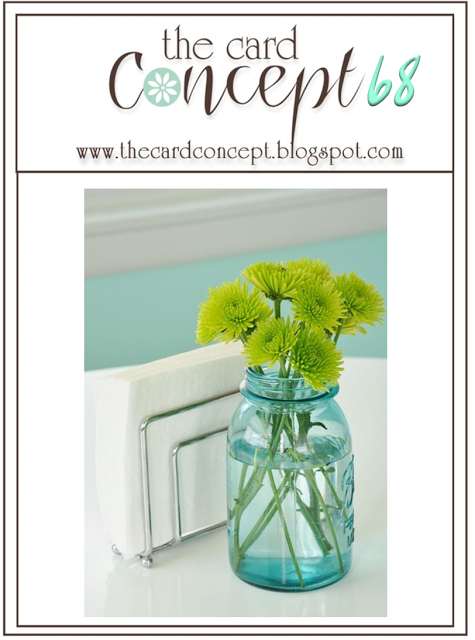 When I saw the inspiration, these ideas came to mind........a swish of white Golden Fluid Acrylic paint (made with a palette knife) on an aqua background, partial chrome curves (Spellbinders) and this particular die from Papertrey Ink (Bloom Builder #3) for the flowers. The card came together with the addition of an embossed sentiment (Hero Arts), the grey stitched frame (MFT Scallop frame, with scallops hidden) and a few rhinestones. Karen, this is AMAZING! How on earth did you create that beautiful white swish? It looks like a piece of gossamer blowing in the wind or something, and I absolutely LOVE it! Beautiful design! Love this! Pinned it all over the place. It's absolute perfection!! 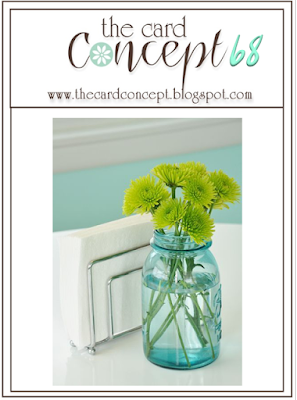 That little swoop of white in the background creates the perfect touch of mess to this lovely card. 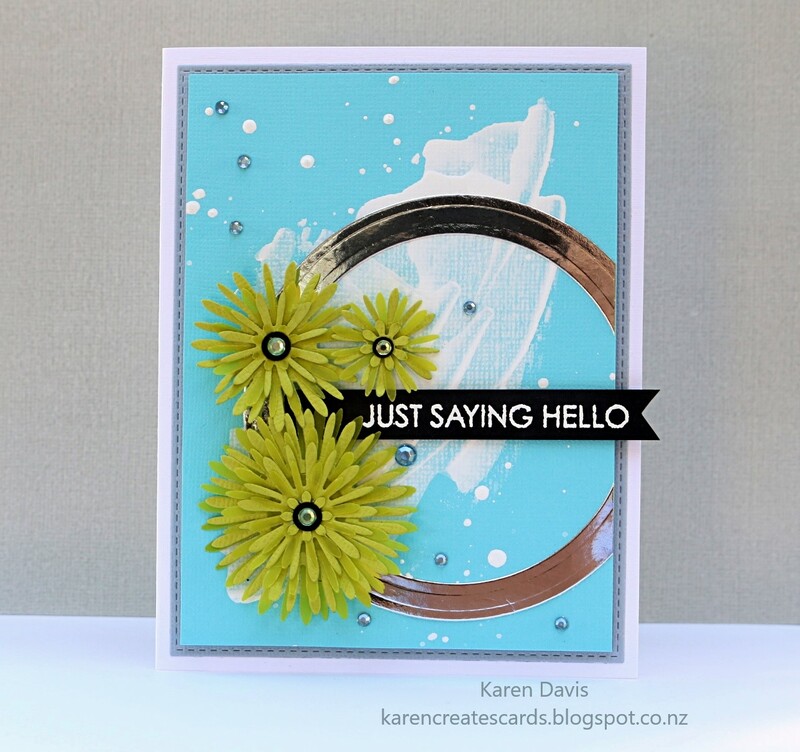 Love your take on the challenge Karen - such a great card! I love how the white paint shows the texture in the blue cardstock. This is fabulous, Karen. Your background looks amazing behind those gorgeous flowers. Beautiful card Karen, I love the artistic background. Awesome card! What a fun background...so creative! Love your splash of white in the background! Karen, I LOVE that background! The gold , and that swish of white paint! Perfect for those pretty flowers!! !